As followers of this blog know, my fellow adventurer Al Smith and I have a knack for finding the best in local diners and barbeque shacks. I turned up another one here in Bedford called, “The Forks,” a little diner open 6:00-2:00, seven days a week. Actually, I had help in finding it. Casablanca was shown last night at the D-Day Memorial as part of the festivities, and as we waited for it to begin, two couples from North Carolina and I compared notes on parking for the parade and on the local eateries. They called a friend back home who had recently been to Bedford and he suggested breakfast at The Forks. I walked into the place this morning and was greeted by a waitress and the two couples from North Carolina. I sat at the counter at which point I was then greeted by photos of John Wayne, the cast of the Big Valley, the main characters from Maverick (the TV show, not the movie), Gene Autry, Hopalong Cassidy, and the Lone Ranger hanging on the wall before me. Five-star ambiance for sure, and the food was good, too. As for the movie, I was so tired by the time it started that I left about half-way through, not that it mattered because I have seen Casablanca a number of times before. Victor and Ilsa get the letters of transit, Strasser gets shot, and Captain Louis gets Rick. At least I assume that it turned out the same way last night. I’ll have an entry on the parade later this afternoon. 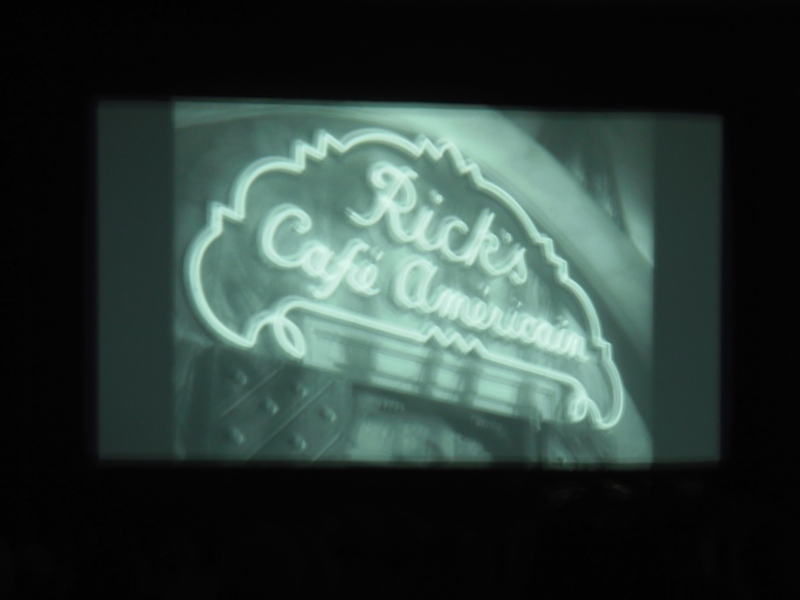 Right now it’s time for lunch and since there is no Rick’s Cafe Americain in town, I might head back to The Forks. “Victor and Ilsa get the letters of transit, Strasser gets shot, and Captain Louis gets Rick.” Yes, it still ends that way so don’t lose any more sleep.